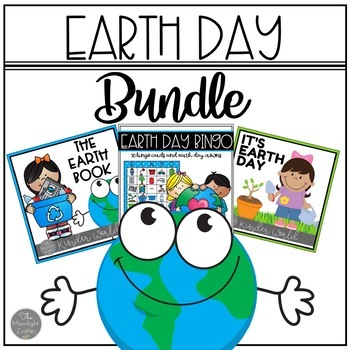 Three fun EARTH DAY sets bundled together! You can use these materials to celebrate Earth Day and teach your class how they can make a difference in the world we live in! These materials were inspired by the book by Todd Parr, it is not included. Supplement your story time and celebrate Earth Day at the same time! 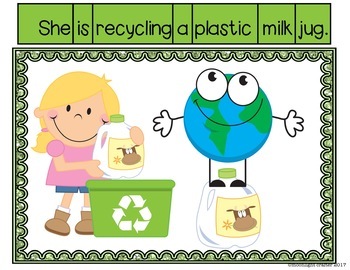 Earth Day Posters (5) for your classroom or bulletin board! Are you looking for a set of BINGO cards so that your WHOLE CLASS can play? 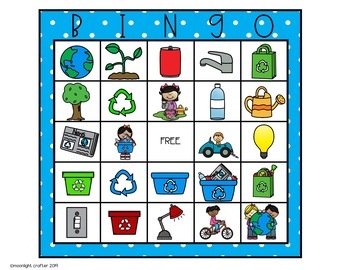 Here's a set of EARTH DAY Bingo Cards with 30 different cards! There are 25 spaces on each card with 24 EARTH DAY Themed Pictures and a free space! These are great for language building activities! Ideas for stretching this resource to include Writing Center Word Cards, a matching game for Earth Day Vocabulary and a set of four EARTH DAY CROWNS for a fun craft! 5 EARTH DAY Themed Crown Templates! Use for a whole group activity or just for fun at a literacy center! The calling cards are perfect for a writing center....just copy a double set and use them for your writing center earth day words! Each of the calling cards includes text to match the picture, so they are great for writing centers, literacy center matching games or your word wall! Your pre-k and kinders can learn and explore Earth Day and learn about the importance of taking care of the earth with these fun literacy activities designed just for their age level! 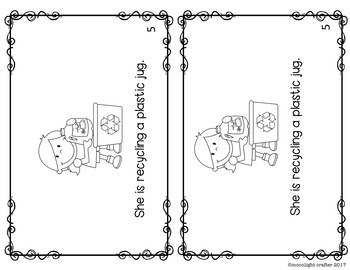 Emergent Reader "Let's Recycle" teaches all about what things we can recycle to make the earth a better place for us all! **these sentences match the sentences in the emergent reader so you can use them together for your Earth Day activities! Using a similar pattern and repetition really sets up your little reader for lots of success!